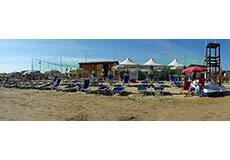 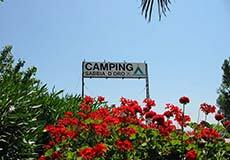 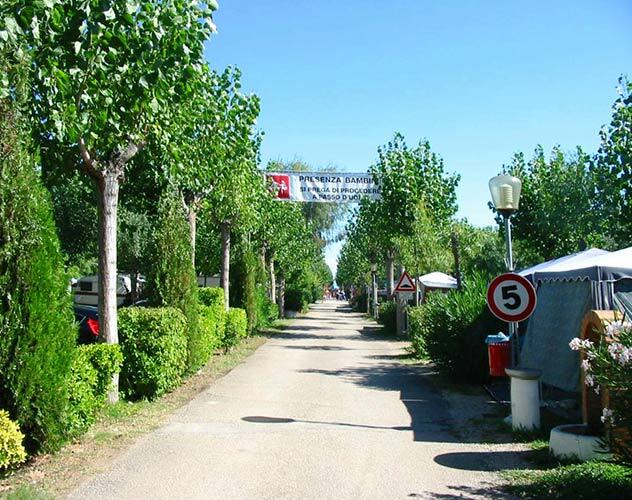 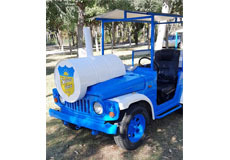 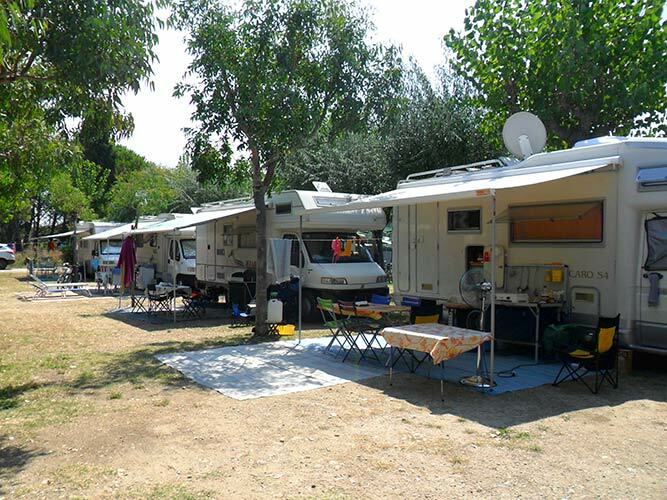 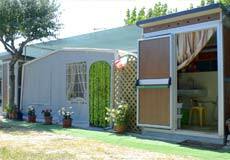 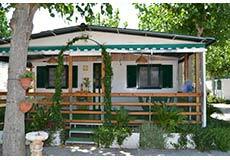 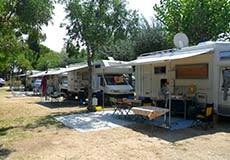 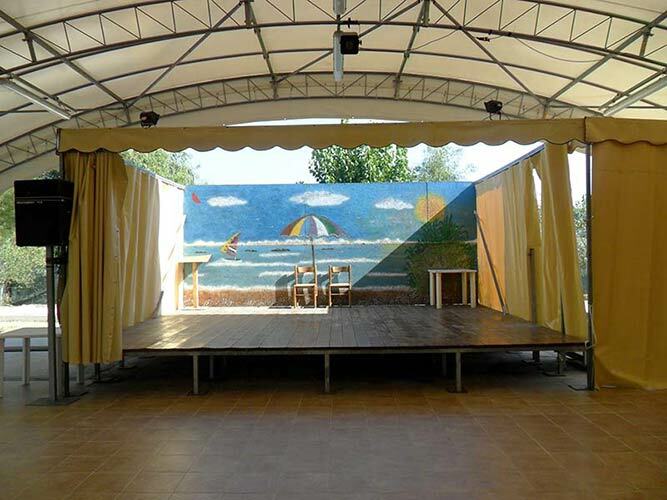 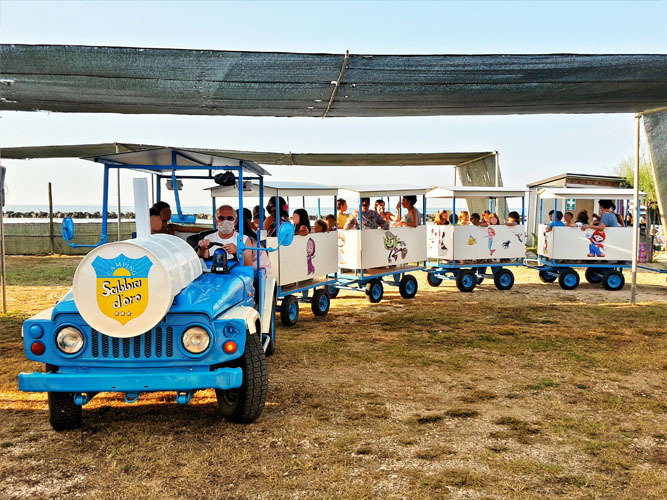 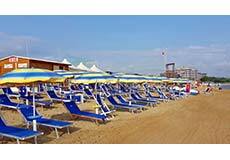 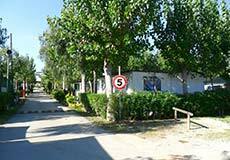 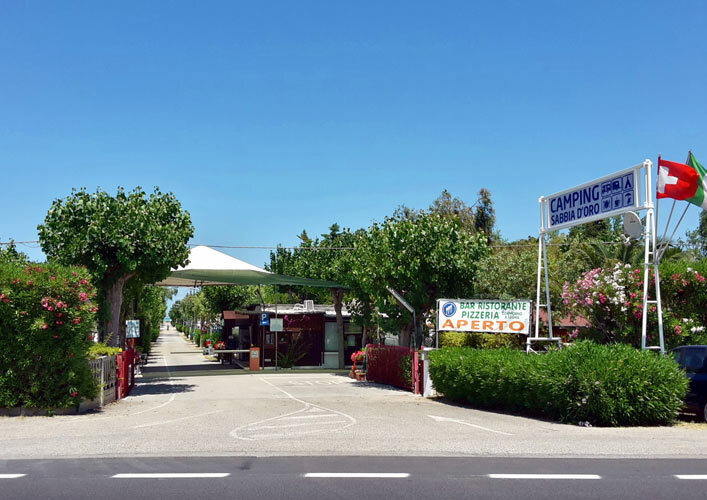 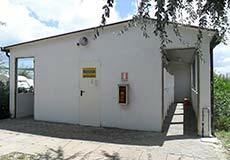 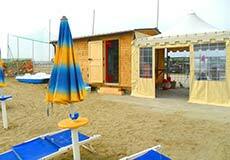 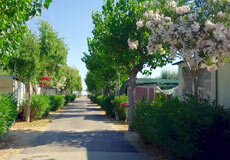 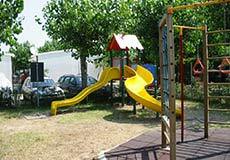 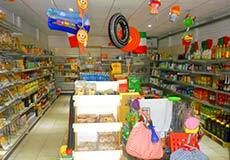 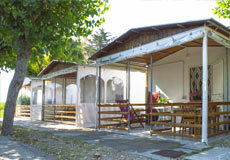 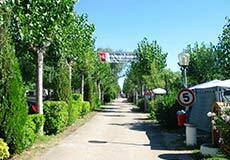 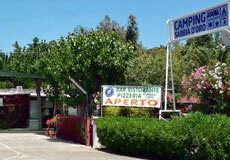 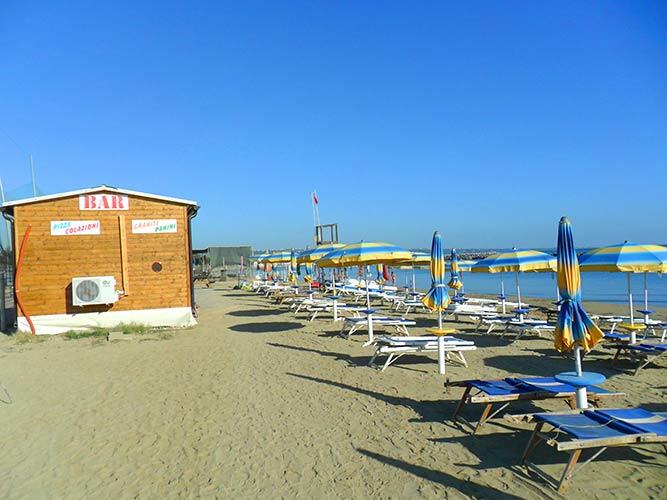 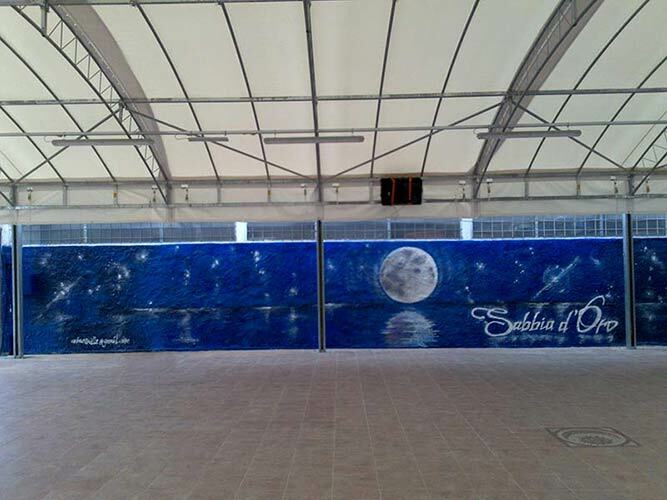 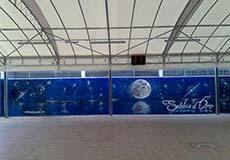 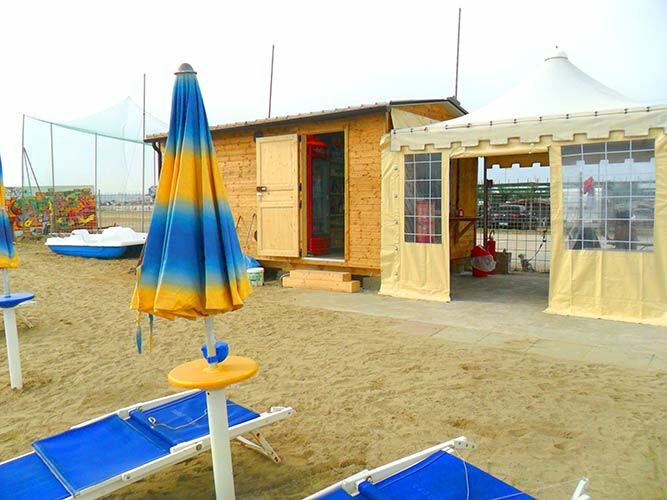 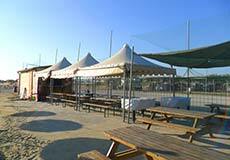 Sabbia D’Oro Camping is placed in the wonderful landscape of the golden gulf of Vasto. 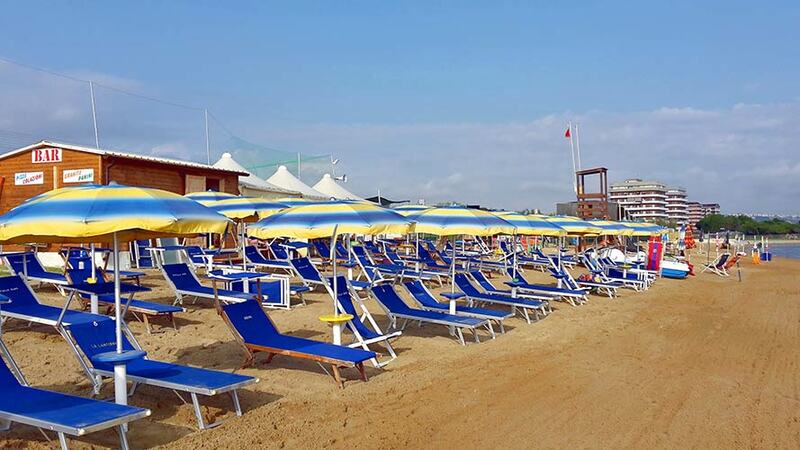 Laying directly to the sea shores, its surface spaces for 40.000 square meters. 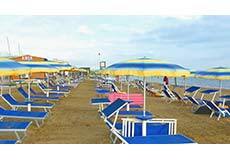 The sea, claimed as one of the clearer in Italy, gently slopes until the rocks. 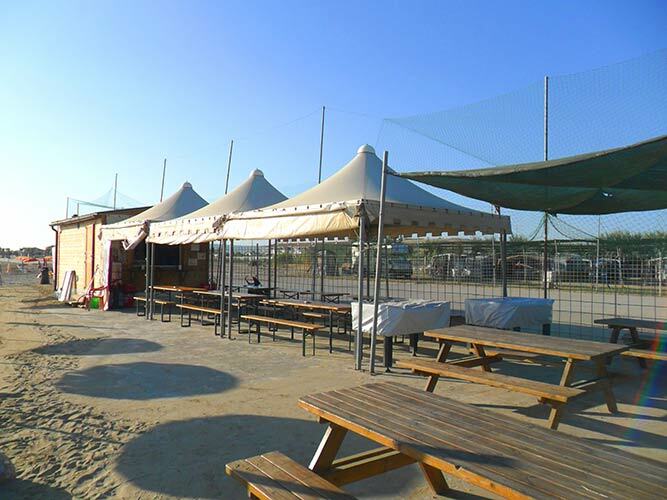 The sandy beach and the seaside provide to our guests a bar, deckchairs, beach umbrellas, beach loungers and a beach volley court. 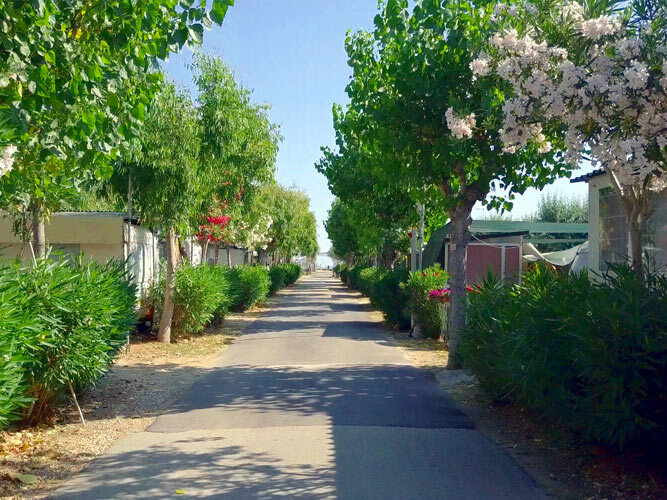 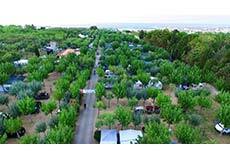 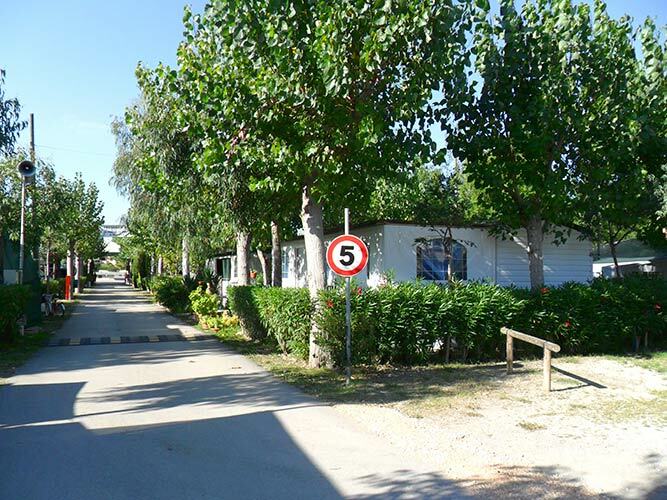 Shady by poplars, eucalyptus, bohemian olive trees, ashes, palms and wickers, our camping provides grass pitches for tents, campers and caravans up to 64 square meters, being ideal also for long holidays. 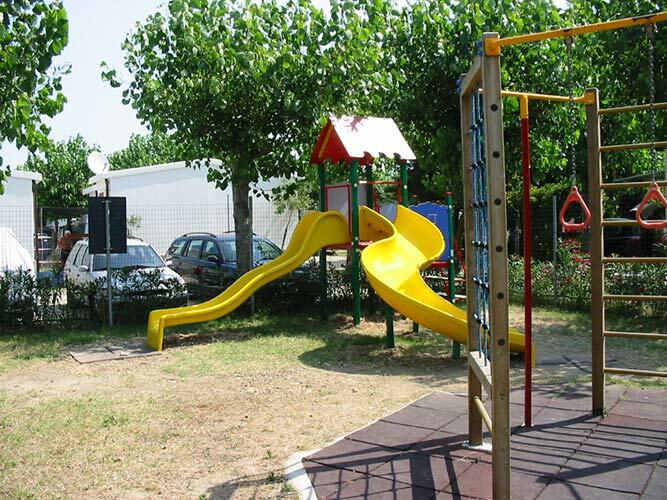 You will find different kind of pitches, each one of them has an ease access and is well marked. 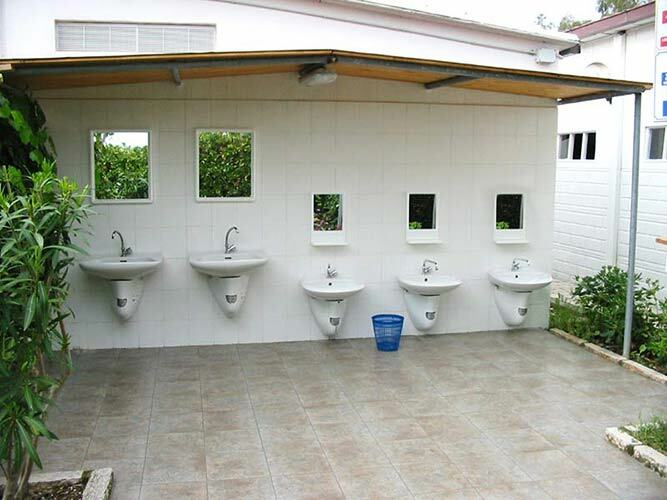 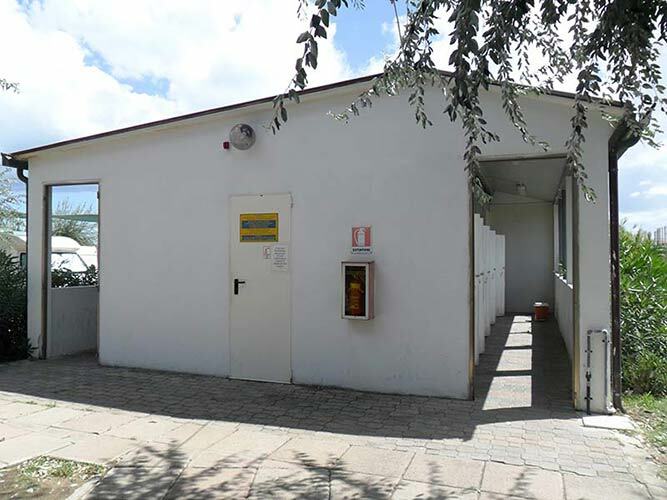 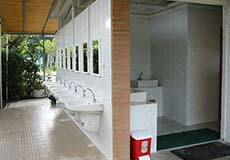 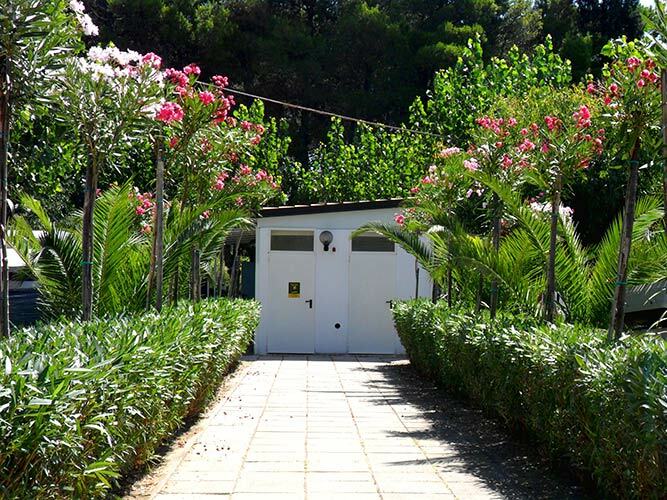 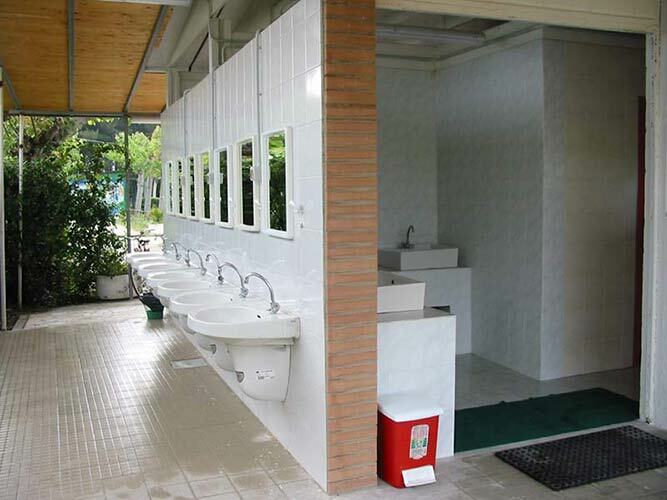 You can choose among grassy and tiled pitches and there is the possibility to have a private toilet. 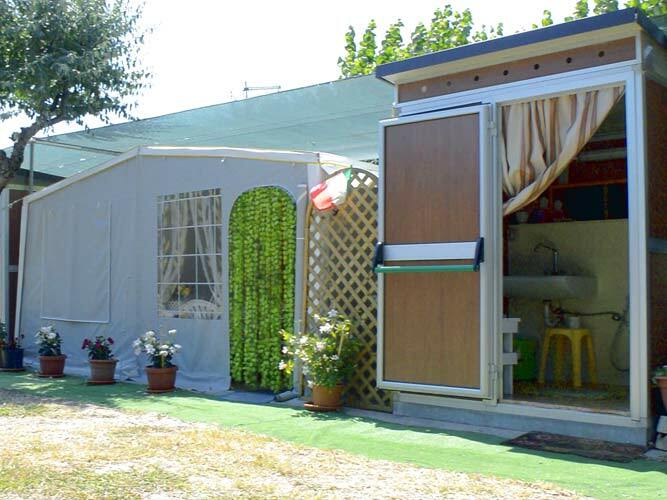 Every pitch is equipped with electrical system 4 ampere, included in the price. 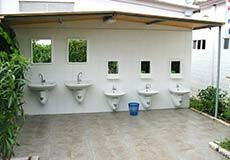 Drinking water supplies are uniformly distributed along the whole area. 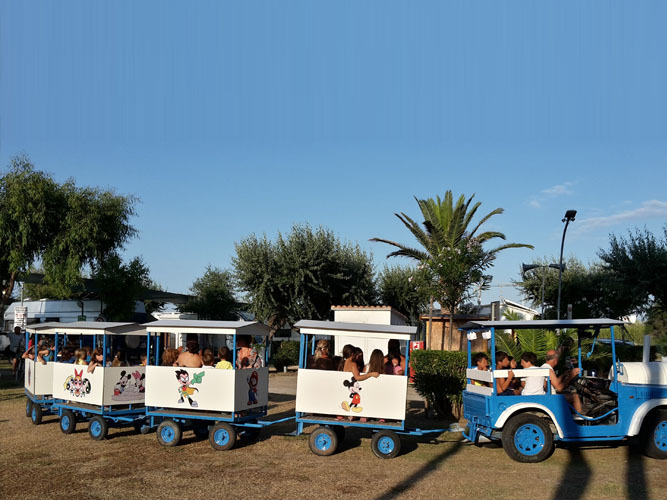 Small animals are allowed. 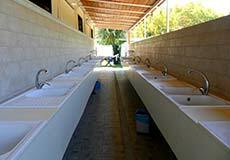 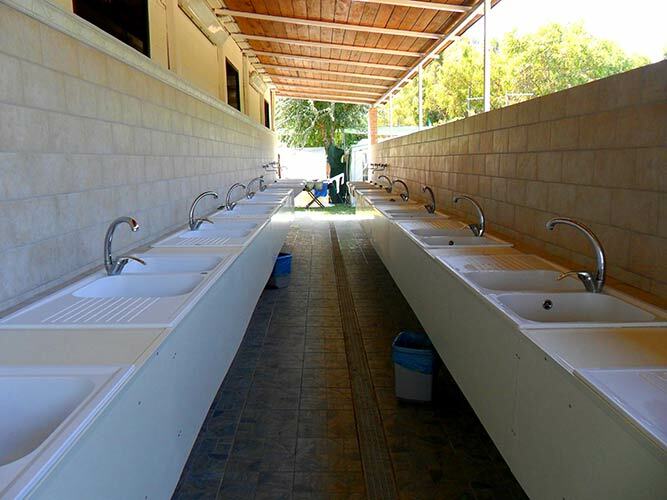 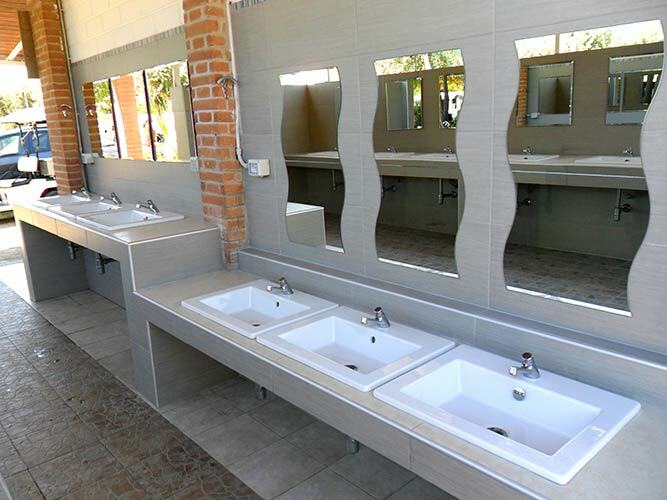 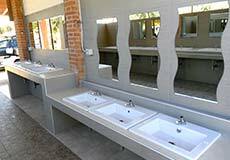 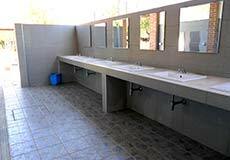 Five groups of bathroom fixtures blocks, distributed in the whole area, include specific sink for dishes, clothes and fish washing; disabled facilities; hot showers operated by tokens; launderette; dog wash service; camper service. 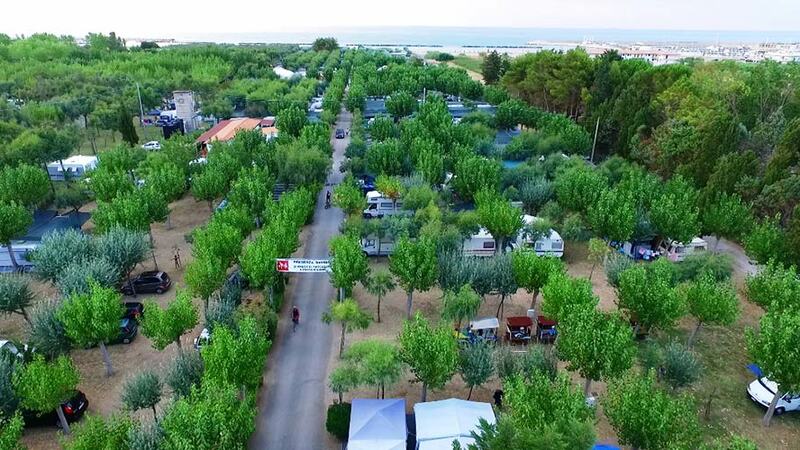 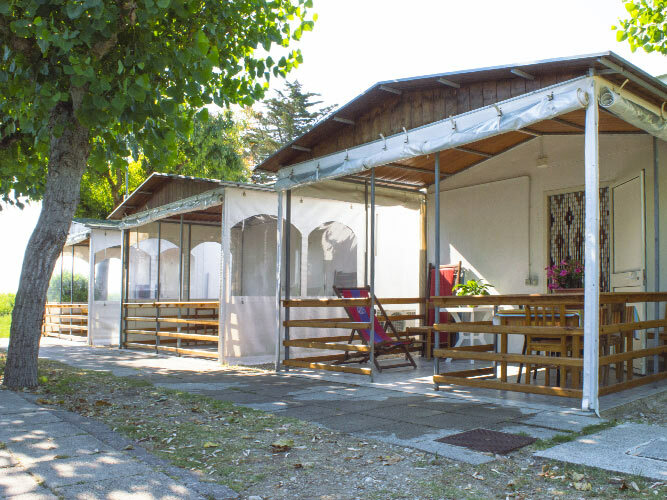 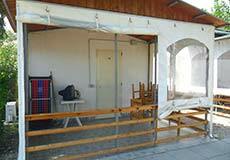 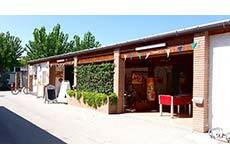 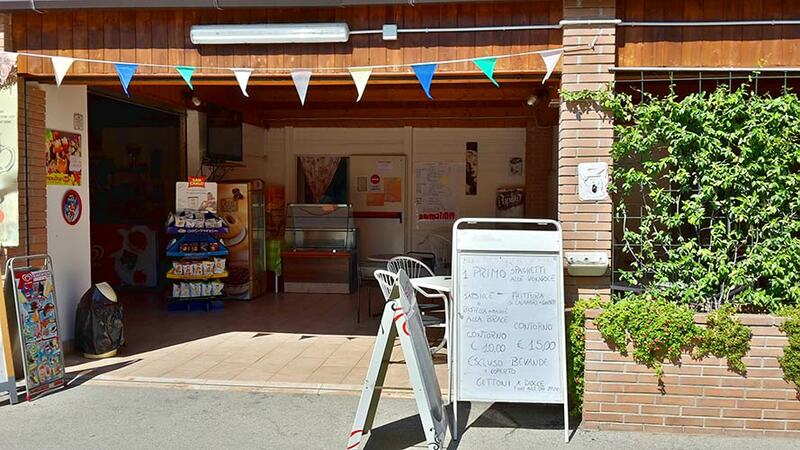 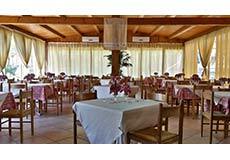 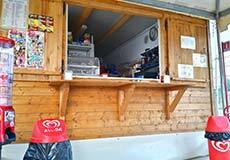 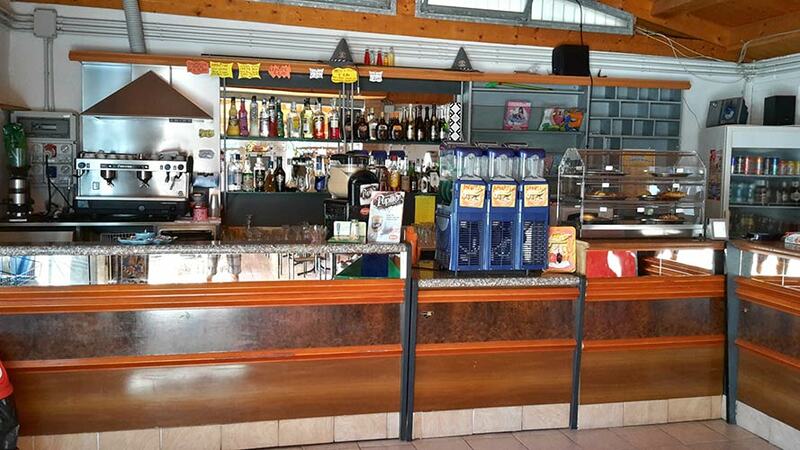 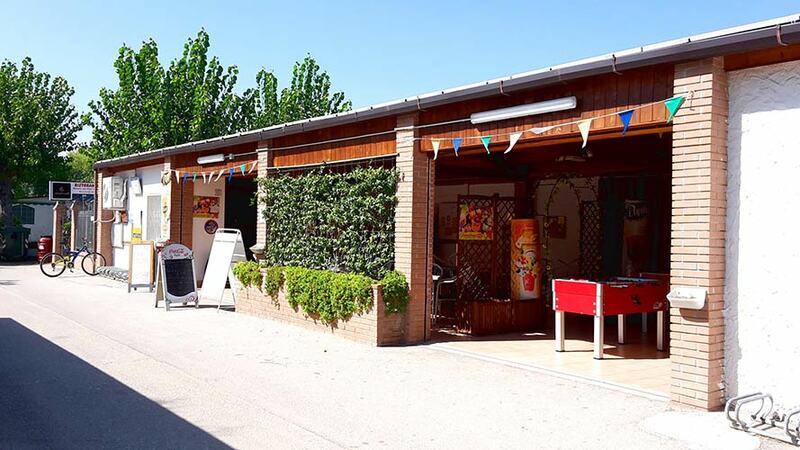 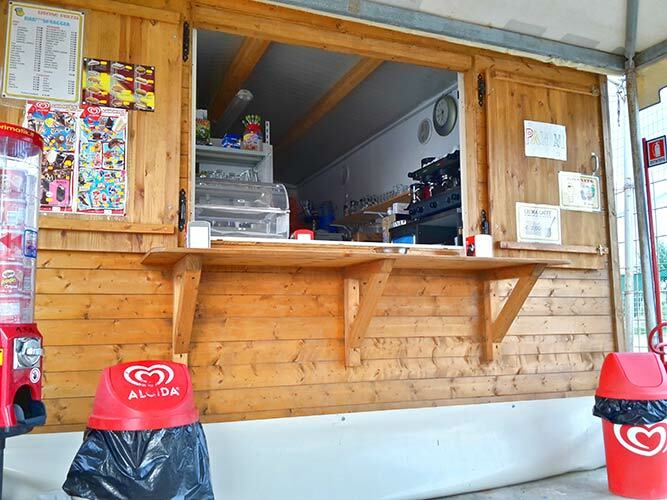 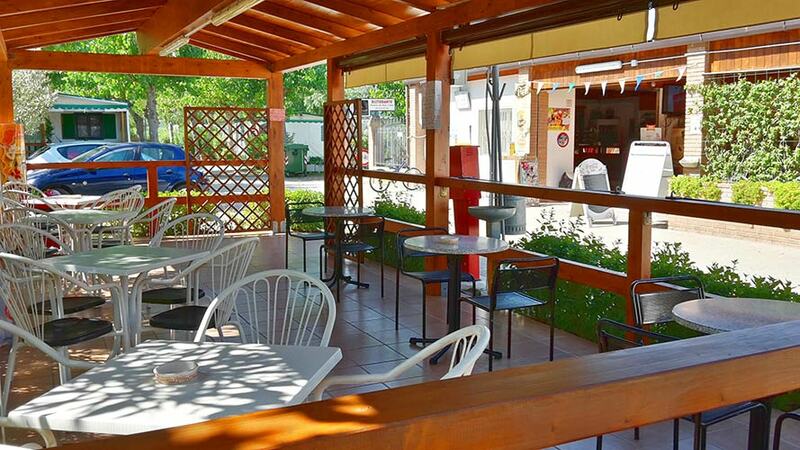 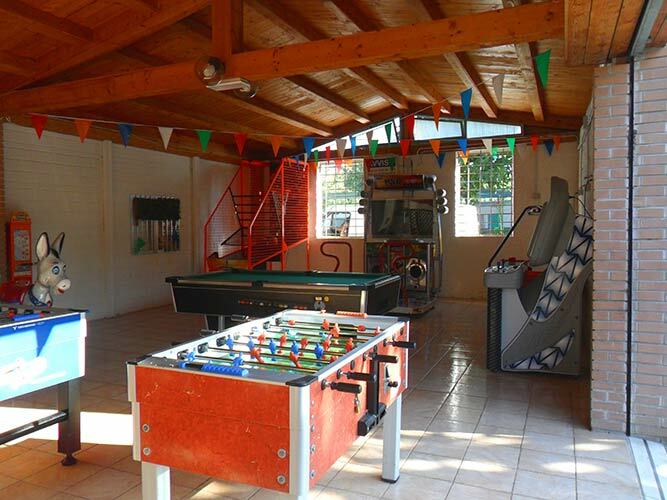 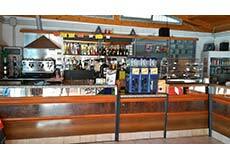 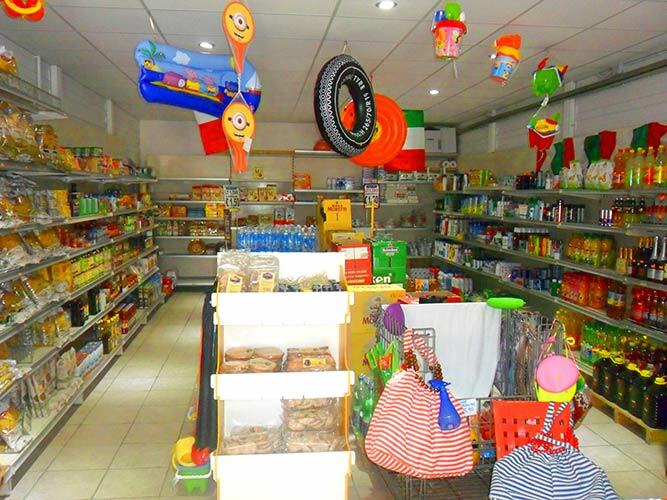 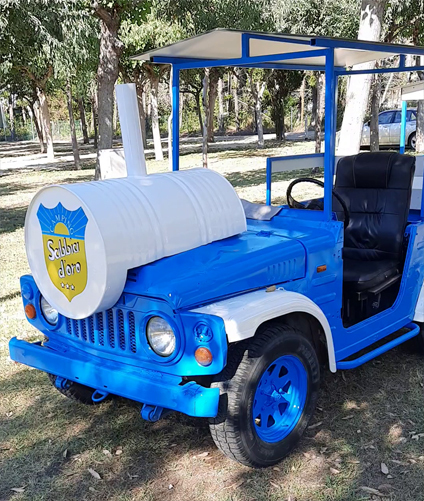 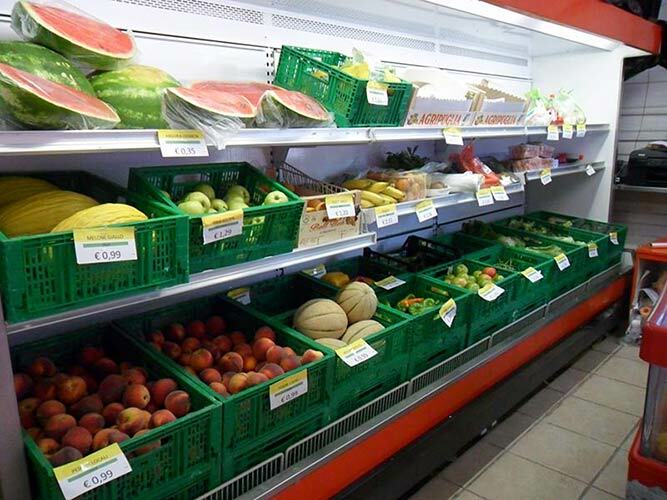 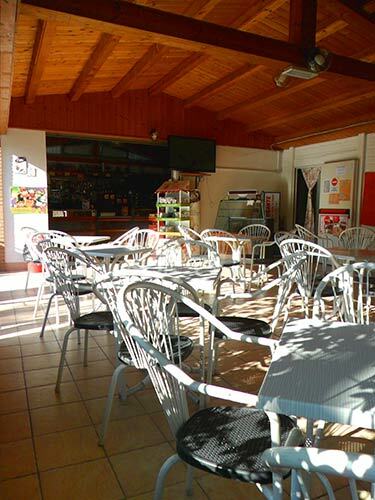 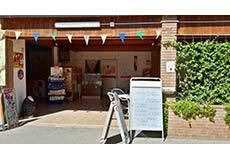 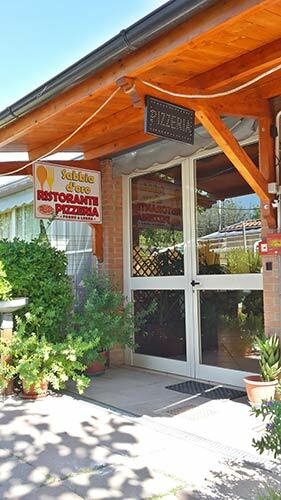 In the middle of the Camping you will find a café; restaurant- pizzeria with wood oven; games room; market and food-shop; playground; covered arena. 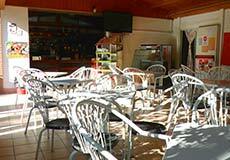 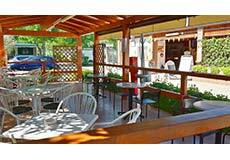 The café provides an interior room and an external shady canopy. 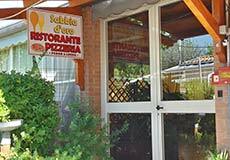 The restaurant is air-conditioned and it offers fixed price menus based on fish or meat; take away service; half and full board. 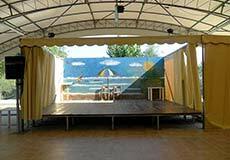 The covered arena is dedicated to events and entertainment and provides a stage and a grandstand for the public. 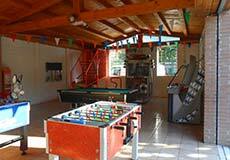 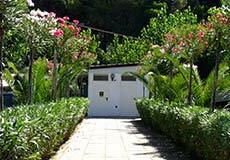 All our bungalows have four people sleeping accommodation; they have air-conditioning and TV set. 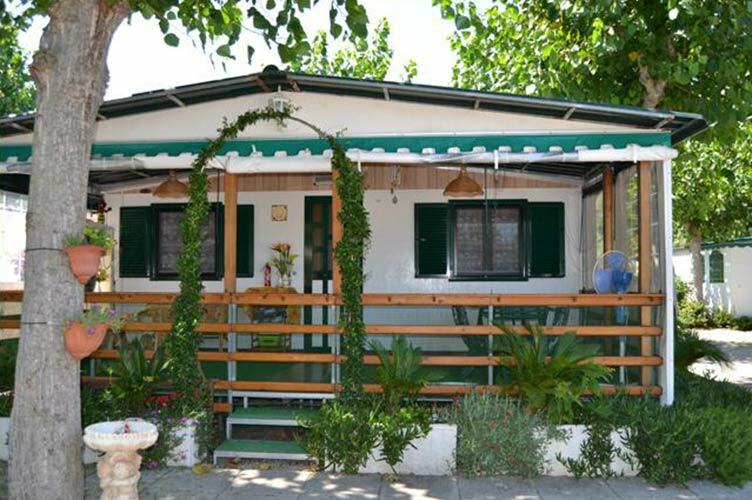 Each bungalow has a double room and a bunk bed room, bathroom with cold shower; fully furnished and equipped kitchen; external verandah. 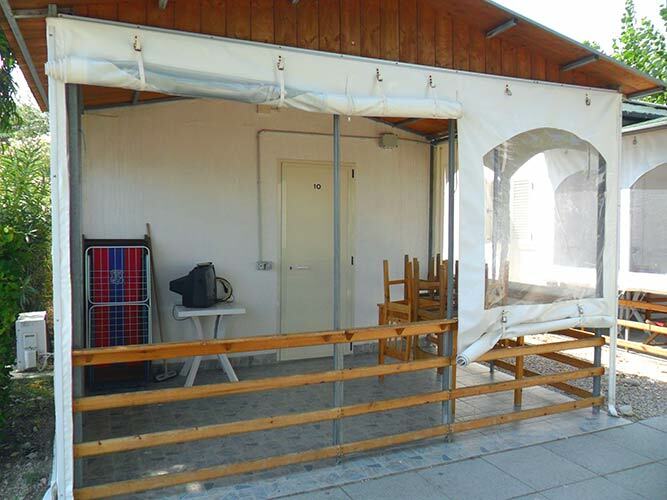 Sheets and blankets for beds and bath towels are not provided. 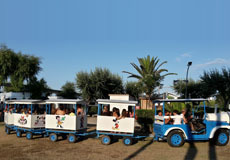 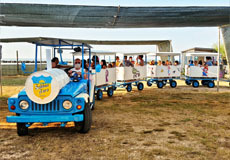 The entertainment service offers the main touristic village activities for adult and children: games, sporting activities, shows and performances. 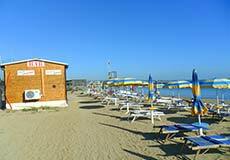 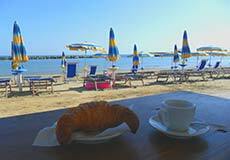 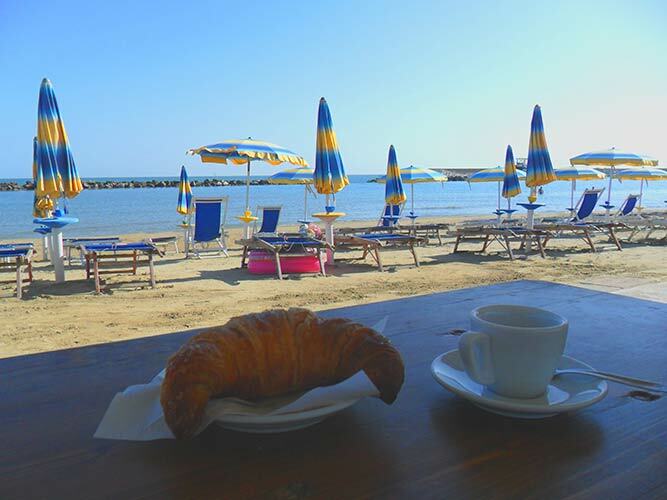 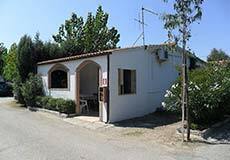 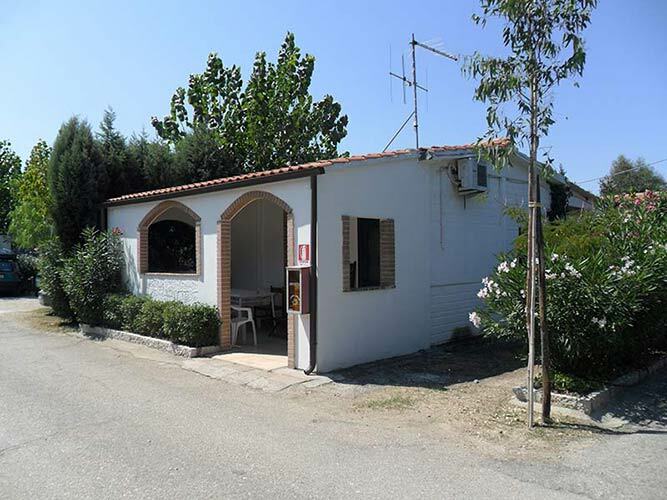 The nearest village is San Salvo Marina, 500 meters far. 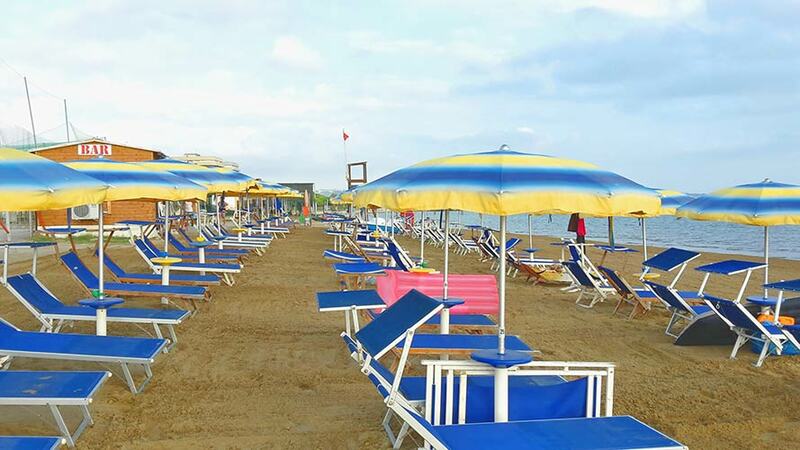 You can reach Vasto, 6 km far, by car or by bicycle (there is a cycling lane along the coast). 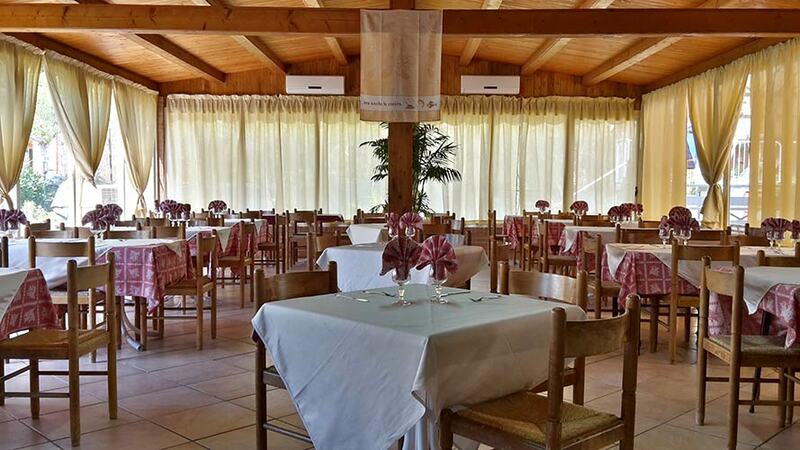 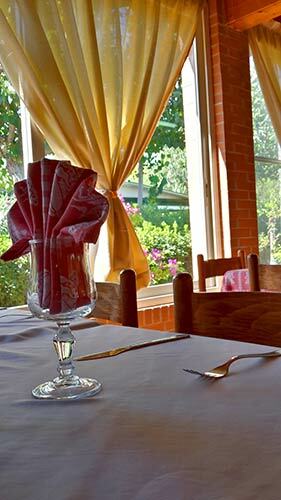 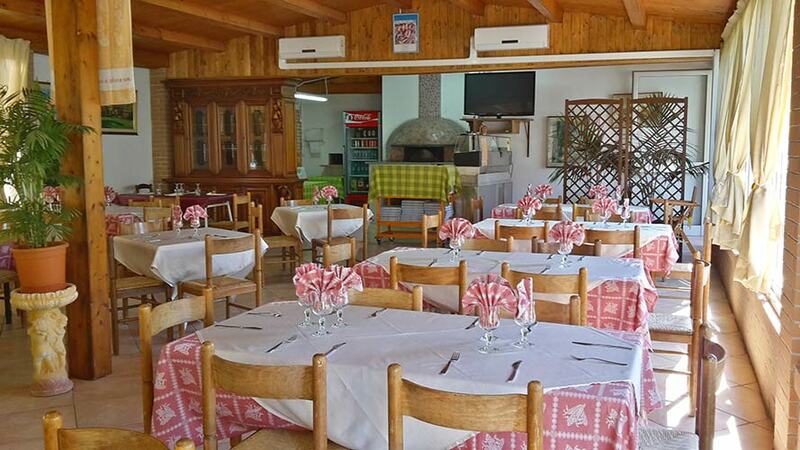 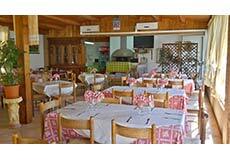 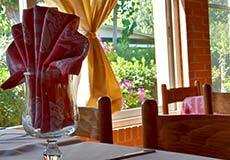 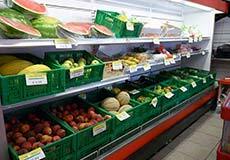 You will enjoy the mite regional temperatures and taste our gastronomic specialties. 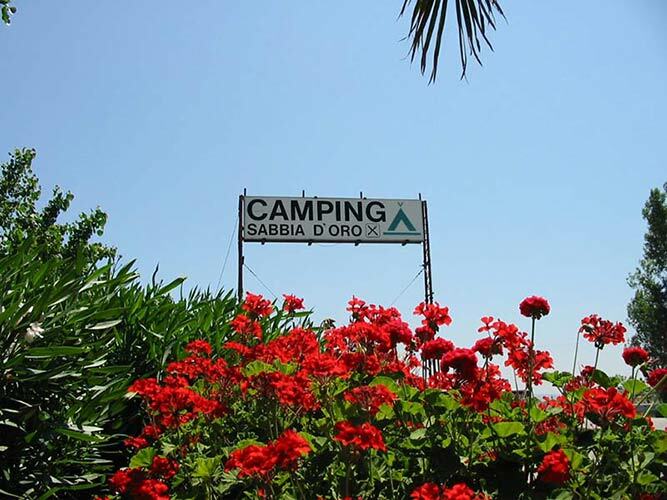 The camping is far from the railway and the highway but you can easily reach us.